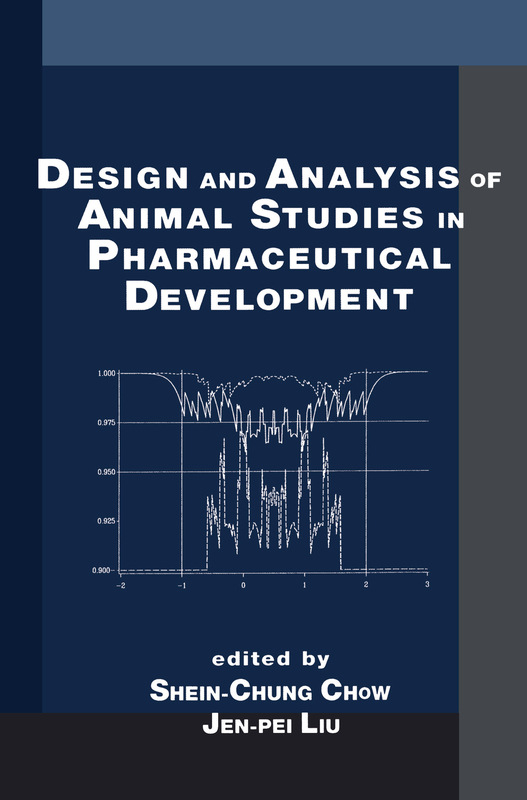 "Provides well-integrated, comprehensive coverage of all the major statistical designs and methods used for animal studies in pharmaceutical research and development. Demonstrates the correct way to interpret the results of animal studies in the risk assessment of biopharmaceutical products and clarifies detailed presentations with real-world examples. " ". . .This book series will provide comprehensive and unified presentations of statistical designs and analyses of important applications in biostatistics. . .A well-balanced summary will be given of current and recently developed statistical methods and interpretations for both statisticians and researchers/scientists with minimal statistical knowledge who are engaged in applied biostatistics. The series is committed to providing easy-to-understand state-of-the-art references and textbooks. In each volume statistical concepts and methodologies will be illustrated with real examples. " ". . .a fine overview of material that an industrial statistician will need to know when seeking employment in preclinical areas of pharmaceutical research. " Experimental design principles for animal studies in pharmaceutical development; interval estimation with small samples for Median Lethal Dose (LD50) or Median Effective Dose (ED50); principles in statistical testing in randomized toxicological studies; subacute toxicity studies - proof of safety versus proof of hazard; design of long-term carcinogenicity studies; analysis of long-term carcinogenicity studies; design of reproductive studies; analysis of reproductive and development studies; the in vitro Ames tests; the in vitro Chinese hamster ovary cell mutagenesis studies.